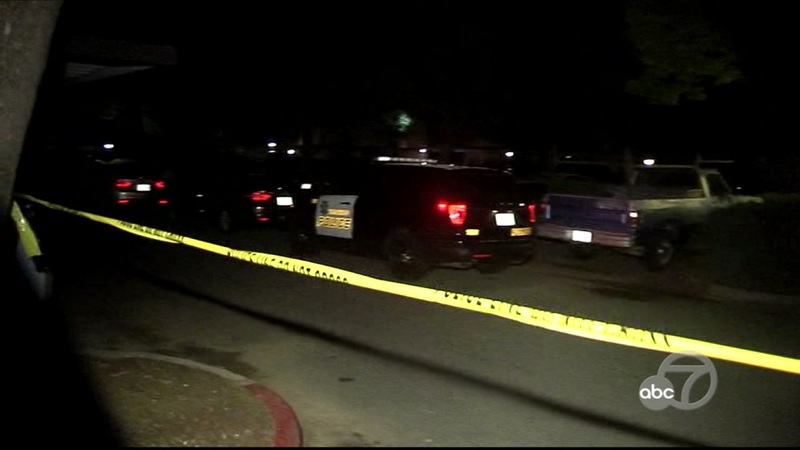 VACAVILLE, Calif. -- Three people were critically injured in a shooting at a Vacaville apartment complex late Thursday night and two suspects are at large, a Vacaville police lieutenant said today. Officers responded to the Camden Parc apartment complex at 159 Aegean Way after shots rang out just before midnight. They found a man, a woman and a teenage girl suffering from gunshot wounds, Vacaville police Lt. Mark Donaldson said. The three were taken to a hospital with critical injuries, according to Donaldson. "They were standing outside their apartment" when they were shot, Donaldson said. Police have a description of one suspect and are following up on information regarding a second suspect. "Our detectives are at the apartment complex now trying to contact any potential witnesses," Donaldson said. "This is where we need our community's help." He described one of the suspects as a black man in his 20s wearing all black, with a black hooded sweatshirt. Anyone with information is asked to contact Detective Aaron Potter at (707) 469-4827.